1. Preheat the oven to 140°C. 2. 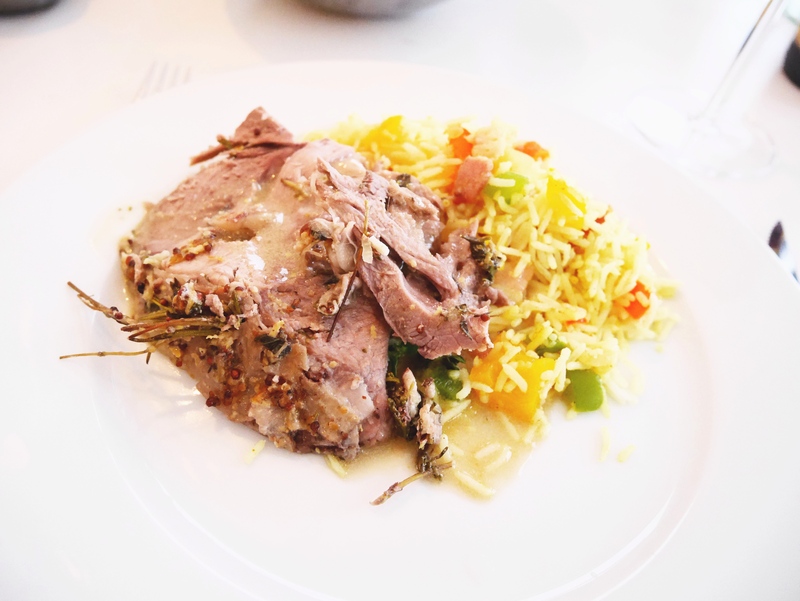 Put the lamb in a roasting or baking dish and make incisions on the top of the lamb leg (small cuts) all over the meat with a sharp knife. 3. Stuff the sliced garlic with some of the thyme and rosemary sprigs into the incisions. 4. 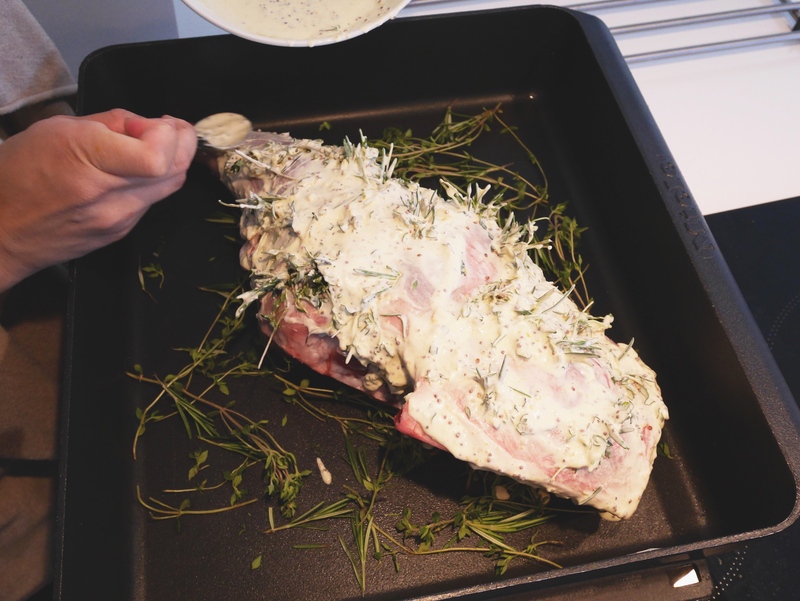 Mix together the mint, crushed garlic, olive oil, mayonnaise, whole grain mustard, English mustard, lemon juice and grated rind in a small bowl and rub all over the lamb. 5. 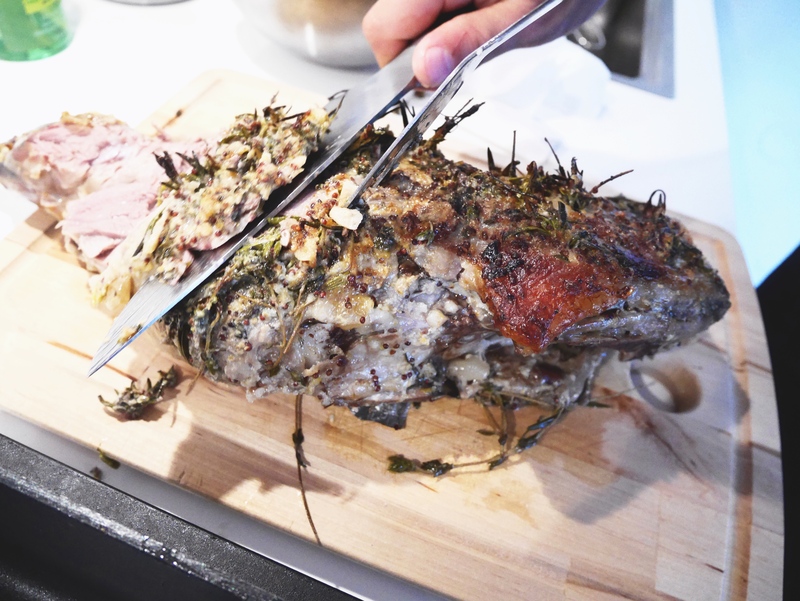 Put the remaining fresh thyme and rosemary at the base of the roasting tray, and place the leg of lamb on top. 6. Pour the stock into the roasting tin around the meat, and cover with tin foil and seal. 7. Roast in the oven at 140°C for 3 1/2 to 4 hours . 8. Increase the temperature to 180°C remove the tin foil, place back and roast for 30 minutes until golden. 9. 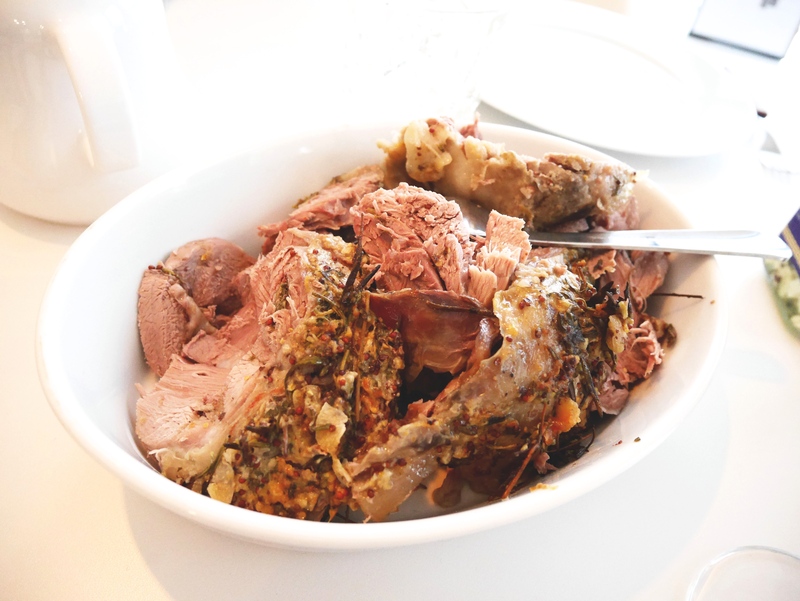 Remove from the oven, and transfer lamb to serving board to rest whilst you make the gravy. 1. Take a pan with which you roasted your meat. 2. Spoon off excess fat. 3. Put the roasting pan onto hob and bring to a rapid boil. 4. Add the mustard, mint leaves and some crème fraiche, and some honey for taste. 6. Season and pass through a sieve into a gravy boat. Serve with the meat. 1. Heat the oil in a large pan and sauté the onion and garlic for 2 minutes until slightly soft. 2. Add the bacon and cook until slightly crispy. 3. Add the peppers and cook for another 2 minutes or until just starting to soften. 4. Add the curry powder and cook for a further 30 seconds or so. 5. 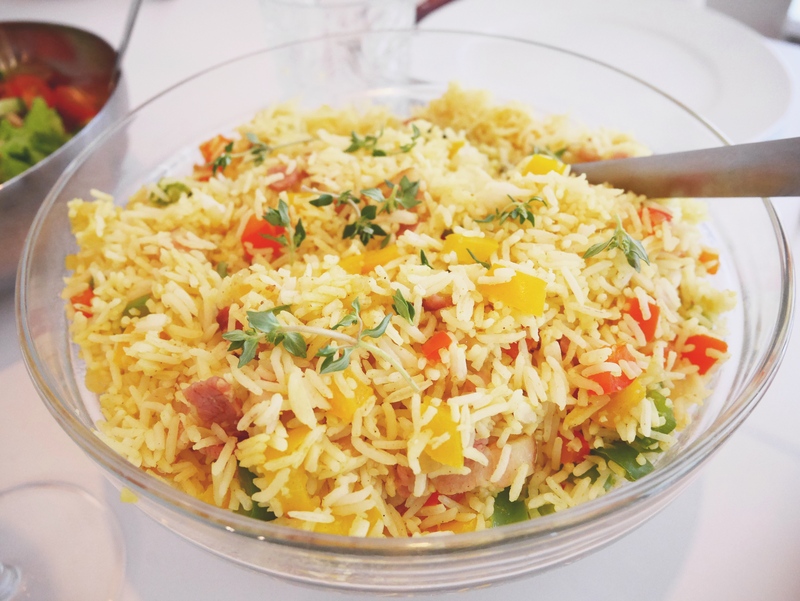 Add the rice and thyme and stir until combined. 6. Season to taste and keep warm, cover with foil or a lid until serving time.